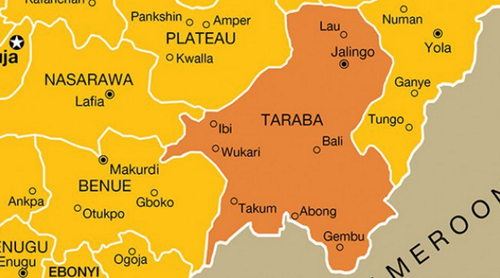 The Muslim Council of Nigeria in Taraba State called on the state’s Gov. Darius Ishaku to remove the Secretary to the Taraba State Government (SSG), Anthony Jellason, over a controversial audio recording purporting that the top government official hates Islam. Bose, who is also the Taraba State Grand Khadi said, the Muslim council called for his immediate removal to assure the Muslim Ummah that so-called hate speech was not a true reflection of the position of Government of Taraba State. “This speech is also contrary to his oath of office as a public office holder,” Bose said. The SSG denied the allegation, saying that he was misquoted by Sa’adiya Gombe because he rejected her offer to sing for him in Hausa. Mr. Jellason confirmed to newsmen in his office in Jalingo that he was never interested in Hausa music but denied voicing hatred for Islam and Muslims as was alleged. In the first place, he narrated, Sa’adiya Gombe went to the SSG’s office after they had spoken on phone and he had made it clear that he was not interested in Hausa music. “I asked my security to take her out of my office; she collapsed outside, convulsing from the effects of drug overdose,” Jellason said. Jellason described the Muslim Council’s reaction as unfortunate, accusing it of being unfair to him by not hearing his own side before proceeding to address the press on the matter. “They heard this allegation against me and did not even bother to call and hear from me. There is no basis for all of this. We have freedom of speech and religion. I do not expect anyone to force me to like what I don’t like at my age, getting to 70,” Jellason said. He, however, called on the discerning public to desist from creating and spreading lies in the society for the sake of peaceful coexistence.